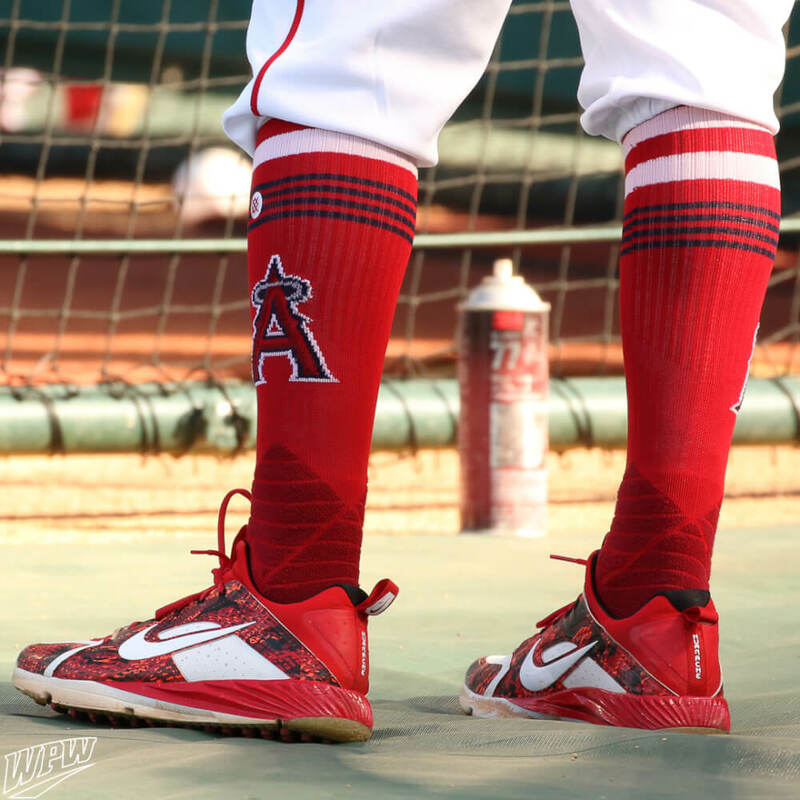 Ian Kinsler’s Nike turfs are a hybrid of the Alpha Huarache and the Vapor Speed turf. These are MLB only, and we’ve seen a lot of comments from people wishing they’d sell them. Instead, you can shop the Vapor Speed turf at the link, or the Alpha Huarache turf here. Categories: Ian Kinsler, Gear, Turfs, Anaheim Angels, Second Base.